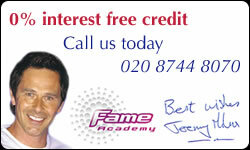 SimplyDental is in west London and has dentist experts in dental implants. Each implant is placed into a socket carefully drilled at the precise location of the intended tooth. Often the implant can be placed at the same time as removal of the tooth all on the same day. If an implant has a screw-thread on its outer surface it can be screwed into position and if it does not, it is usually tapped into place. The main aim during installation of any implant is to achieve immediate close contact with the surrounding bone. This creates an initial stability, which over time is steadily enhanced by further growth of bone into microscopic roughnesses on the implant surface. Once fitted, these components provide the foundation for long-term support of crowns, bridges or dentures. Click here for illustrated information. The dental implants used by most dental specialists are root-form implants, meaning they are replacement, or substitute tooth roots, used to replace natural tooth roots where teeth are missing. The reason it is so important to replace the tooth root as well as the visible part of the tooth (crown) is that natural tooth roots are embedded in the bone, providing the stable foundation necessary to bite and chew. In essence, the bone holds the tooth roots in place and tooth roots preserve the bone. When teeth are missing, the bone that previously supported them melts away, or deteriorates. However, replacing missing tooth roots with dental implants can preserve it. Since the bone forms a strong bond to the implants, they can serve the same functions as natural tooth roots: a strong foundation for biting and chewing and stimulation for the bone to hold it in place. Overall quality of life is enhanced with replacement teeth that look, feel and function like natural teeth. The appearance of the smile is more natural and there is increased comfort and confidence when smiling, speaking and eating. If dentures are replaced with implant supported teeth, the changes can be even more significant, with the added ability to confidently eat all types of foods and the elimination of messy adhesives. By preventing the bone resorption that would normally occur with the loss of teeth, the facial structures remain intact. This is particularly important when all teeth are missing, as the lower third of the face collapses if the bone is not preserved through fixing implants. People with dentures usually have problems eating certain foods, such as fresh vegetables and fruits, which can compromise their nutrition. Additionally, since it is difficult to chew properly with dentures, digestion is often compromised. These problems disappear with mini implants. Tooth replacement with traditional tooth-supported bridges requires grinding down the teeth adjacent to the missing tooth/teeth, so that the bridge can be cemented onto them. This tooth structure can never be replaced and the long-term health of these teeth is compromised. Partial dentures have clasps that hook onto adjacent teeth, putting pressure on them as the partial rocks back and forth. Eventually these teeth can loosen and come out as a result of this pressure. Replacing missing teeth with implant-supported crowns/bridges does not involve the adjacent natural teeth, so they are not compromised, or damaged. It is much easier to clean and care for an implant-supported crown, which can be cleaned like a natural tooth. In comparison, a tooth supported bridge requires the use of a floss threader for proper cleaning. 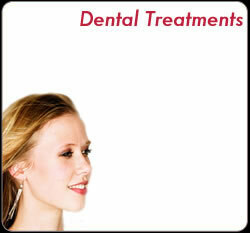 It is also easier to clean implant supported replacement teeth than a removable partial. Elimination of denture adhesives Since implant supported teeth are securely attached to the implants, there is no need for messy denture adhesives, which are often needed to keep dentures from falling out. By replacing the entire tooth, including the root, it is possible to replicate the function of natural teeth, with a strong, stable foundation that allows comfortable biting and chewing. In addition, nothing in the mouth looks, or feels artificial. People who wear dentures often worry that their dentures will fall out when they laugh, sneeze and sometimes even when they eat. Since the bone bonds to the implants, replacement teeth have a stable foundation and are securely attached to the implants, so there is no fear that teeth will fall out. Since implants preserve bone, preventing deterioration of the facial structures, appearance is improved. Collapse of the lower one-third of the face caused by complete tooth loss can be visually corrected and the remaining bone reserved. The appearance of wrinkles around the mouth caused by posterior bite collapse, or complete facial structure collapse are virtually eliminated. Your smile is improved when replacement teeth look more like natural teeth. Even when only one tooth is missing, long term aesthetics are usually much better with an implant supported replacement tooth than with a traditional tooth supported bridge. This is particularly important in the front of your mouth, where preventing a visible bone defect is critical for natural appearance. Many of the people who now enjoy the benefits of implant supported replacement teeth state that their self esteem and self confidence have been restored as a result of improved appearance, function, comfort and health. Wearing an upper denture can prevent someone from really tasting food, as the roof of the mouth is covered. With implant supported replacement teeth, it is not necessary to cover the roof of the mouth, so it is possible to enjoy the taste of foods. The loss of either a single tooth or total tooth loss can cause a lack of confidence and can affect every day life. People affected by tooth loss often find eating in public difficult and traumatic or are not confident about their smile. When teeth are lost your jawbone actually sinks away, and scientific research shows wearing dentures accelerates this process. This produces an aging effect on individual's appearance. Replacing missing tooth roots with dental implants can preserve the bone. Since the bone actually forms a strong bond to the implants, they can serve the same functions as natural tooth roots: a strong foundation for biting and chewing, and stimulation for the bone to hold it in place.